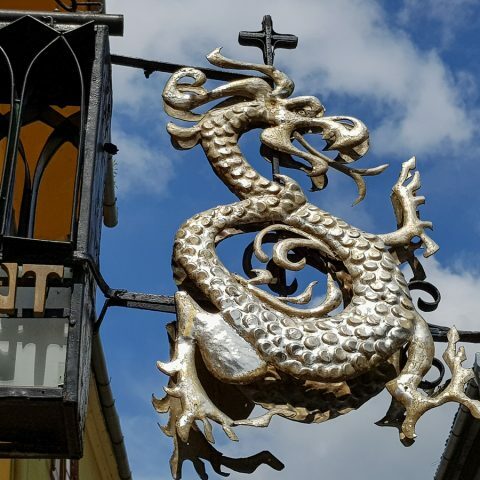 If you choose to visit the Brasov area and the Bran Castle, you will certainly have many things to see and you will be amazed by all the beautiful locations you can discover. 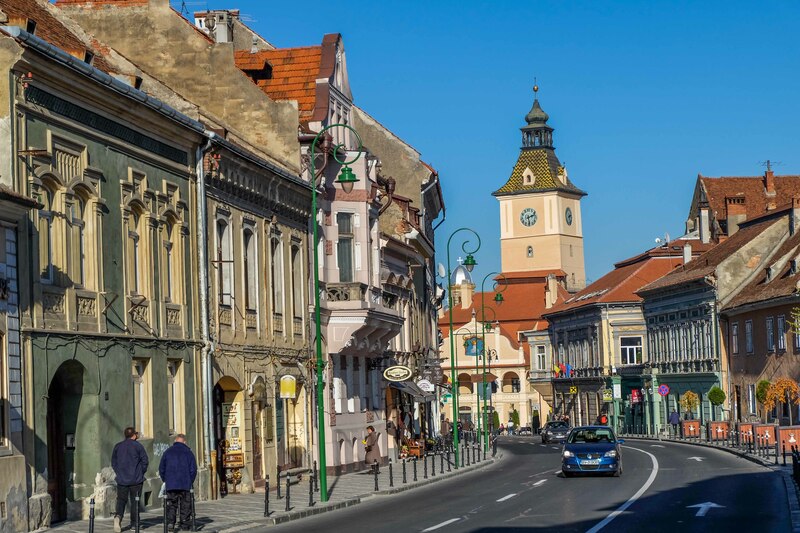 Brasov is one of the largest cities in Romania located near the mountains and it’s a city full of life, perfect for those who love winter sports, but also for those who are interested in the various historical monuments. It goes without mentioning that Bran Castle is one of the most famous Romanian travel destinations. 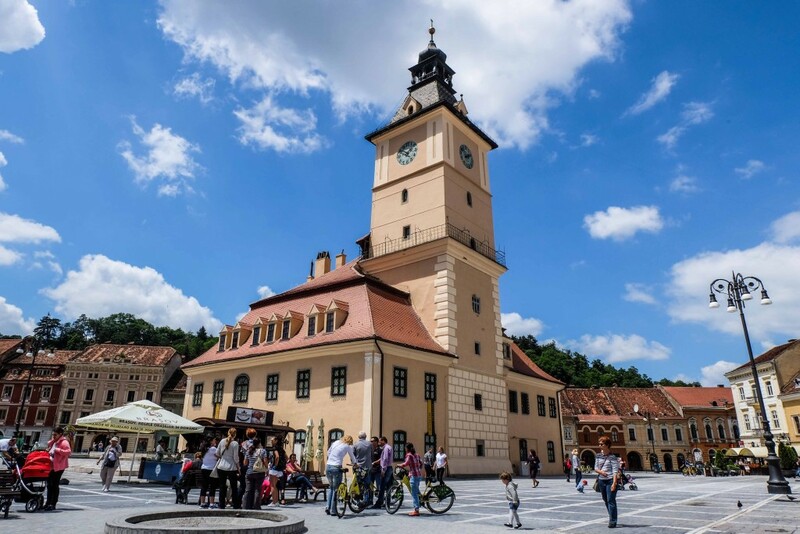 Brasov is one of the most visited Romanian cities, partially because you can attend various events, festivals, sports activities, cultural activities and many other entertainment activities. Due to its geographical location, Brasov offers many opportunities for tourists: skiing, hiking and visiting the city as well as other tourist attractions in the area. It’s also a city where culture is very much appreciated, as there are many theatres, libraries, bookshops, cinemas and concert buildings. Brasov is also recognized for its specific architecture. Brasov is located in the central region of the country, in the Brasov Depression, at an altitude of 625 m. In fact, Brasov is situated at the highest altitude from all the Romanian cities. You can arrive there by car, bus or train. Clearly, the first stop in the city of Brasov should be in the historic center. Piata Sfatului is one of the most beautiful squares in Romania. From there, you can admire the beautiful architecture of the surrounding buildings, while staying at one of the terraces scattered around the square. In this square, many important events take place in the city, such as fairs and festivals. Until a few years ago, Brasov was the home of an international music festival, “Cerbul de Aur” (The Golden Stag). The Town Hall with the tower is located in the middle of the square and it has undergone many architectural changes over time. Now, this representative building houses the Brasov County History Museum, where you can learn everything about the rich history of the city. The Black Church is a landmark of Brasov that you simply can’t miss … literally. It is an imposing building and an excellent example of Gothic architecture, built between 1383 and 1477, and it’s considered the largest religious edifice in Gothic style in Southeast Europe. Over time, several earthquakes and a devastating fire on April 21st 1689 have affected the church, which almost completely destroyed it. Since then, the smoke blackened ruin was called the Black Church and the gray exterior color has been preserved. The Black Church in Brasov is one of the most popular tourist attractions in Romania. Only few people know that it’s the most visited religious tourist attraction in Romania, that it has an organ unique in the Southeast Europe and a bell weighing over six tones. Rope Street in Brasov is found between Deer streets and Schei Gate and is the narrowest street of Brasov. It is only 83 m length and 1 to 1.4 m wide. It was a simple corridor for the medieval Brasov and it’s now a tourist attraction, being one of the narrowest medieval streets still preserved to this day. Bran Castle is probably the most famous Romanian tourist attraction. At this castle starts the extremely well known legend of Count Dracula and it has become a Romanian tourist landmark, visited by many foreign tourists, curious of his bloody history. Vlad the Impaler was associated with Dracula and his image is promoted among tourists, although there is no evidence to link the Romanian prince to the fictional Dracula and Bran was not his residence. However, Bram Stoker was inspired by the beautiful architecture of Bran Castle when he described Dracula’s castle in his novel. Leaving aside the legend, the Bran Castle remains one of the most beautiful castles in Romania and a wonderful historic monument, which has gone from a simple military fortress, to an imposing castle with breathtaking rooms and a charming inner garden. 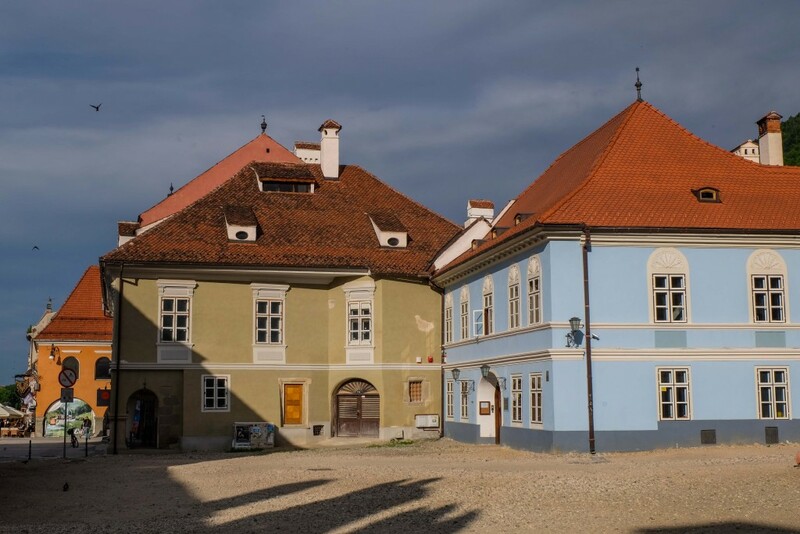 In the castle, there is also a museum that exhibits many old objects specific for the Brasov area. Bran Castle is located just 30 km from Brasov, in the small Bran village. Regular buses make it very easy to travel from Brasov to Bran. 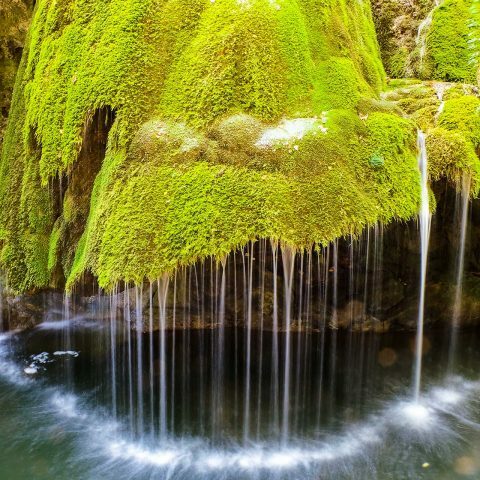 This beautiful Transylvanian area has a lot to offer, making it a perfect fall travel destination to explore a city with a unique medieval charm. 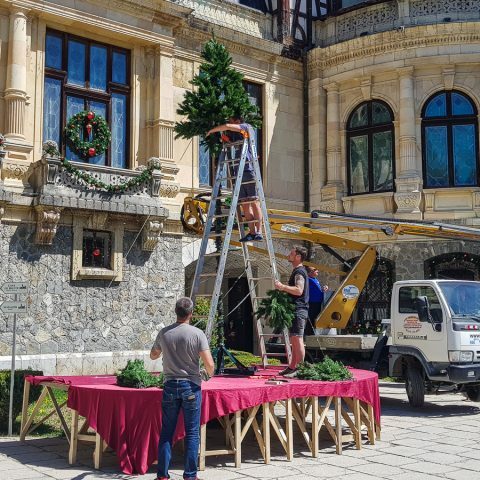 While you’re here, you could always visit Sinaia and another famous castle, Peles, as well as other beautiful locations. Until October, you can go hiking in the Bucegi Mountains, or you can establish a travel itinerary for a short trip or for a longer tour, which will allow you to explore the entire region. Whichever option you choose, it will surely be an unforgettable experience. Make the most out of it, by booking a private tour, with guide assistance, so you won’t miss out on any less known locations or events that take place during your trip. Two famous castles - shared tour from Bucharest gives you the chance to discover Transylvania Dracula`s Castle, but also the impressive Peles Castle in Sinaia and the medieval Old Town of Brasov. We organize Dracula Castle Tour. 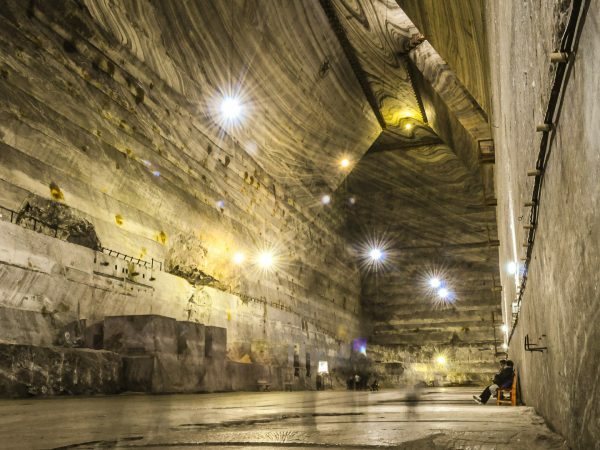 During Wine tasting and salt mine tour we will visit one of Romania´s best wineries, learn about wine production and visit the impressive Slanic Prahova salt mine. 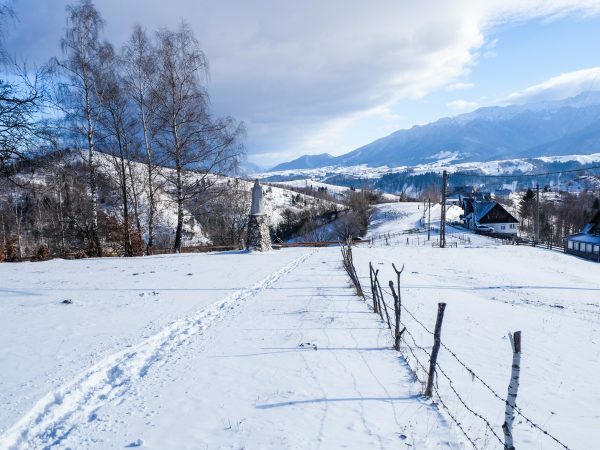 This winter tour of Transylvania is available from January until March and combines the awesome landscapes of rural Transylvania with medieval cities and world heritage sites of one of the most visited region of Romania. A visit to the Ice Hotel along Transfagarasan Scenic Road can be considered the highlight of your tour in Romania.